What to do when your friends ignore you? 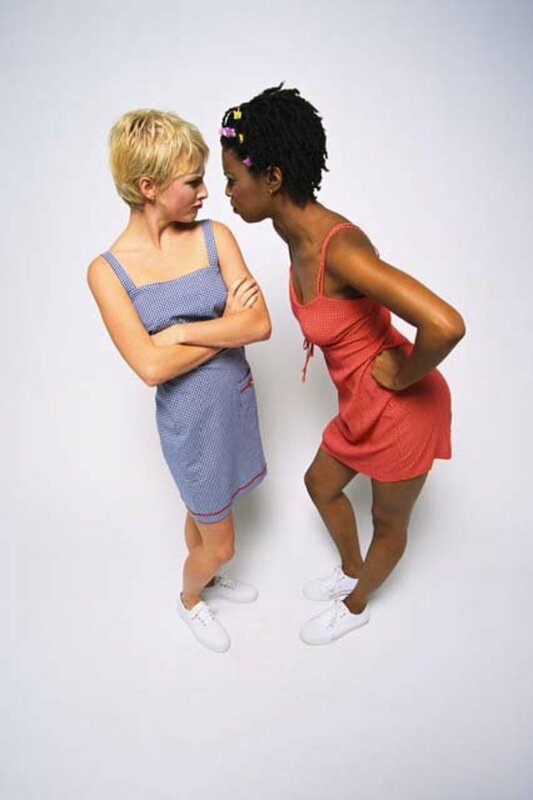 Whether it is your best friend who is displaying signs of ignoring you, your guy friend who is not answering your calls, your female friend who is not replying to your text messages or a group of friends who make you feel singled out – arguing, fighting, yelling, jumping to conclusions, breaking friendship, making new friends, feeling lonely or being depressed are not the immediate solutions to such a situation. Be mature and take a good decision because true friends are harder to find than real diamonds. Everyone has ups and downs in life, including your friends. You must be sure that your friends are deliberately ignoring you before you jump to conclusions that can bring an end to your friendship. Don't let your mind play tricks on you and look for specific behavioral changes that have affected your relationship with your friends. Carefully observe your friendship and look out for some of these obvious signs that your friend may be ignoring you. The number of times you hang out with your friend as compared to the number of times you met earlier. The amount of time you both talk on the phone as compared to earlier. Does your friend call you or is it always you who is calling him or her? Has your friend stopped texting you? Classic case in schools and workplaces - your friend has stopped having lunch with you. Your friends are making plans to go out but don't invite you. Your friends have stopped sharing details about their relationships and personal lives. A group of friends could be ignoring you when their chatter dies down suddenly into an eerie silence when you enter the room. You get to know secrets about your friends from other people. There are a lot of awkward looks when you randomly bump into your friends. You must try to trace your friends' behavior to a specific event once you are sure that they are ignoring you. This specific event or situation can vary from person to person. Below are a few examples. A girl can start ignoring her friends simply because they are mutual friends with her ex, who she just broke up with. The death of a loved one could have sent your friend spiraling down in depression, which is why she is avoiding meeting anyone. A guy's female friend may start ignoring him if he suddenly starts displaying habits that women commonly hate. A group of women may start ignoring one of the ladies in their group because they suspect her of being too friendly with another woman's husband by flirting with him. A girl could be ignoring her best friend who chose to like her ex-boyfriend's picture on Facebook. These were just examples of situations that give rise to awkwardness in a friendship. Trace the change in your friend's behavior to situations like these and find the exact reason why your friends are ignoring you. Be cool when you confront your friends. It may turn out that they never meant to deliberately ignore you in the first place. Once you are sure that your friends are ignoring you and you think that you have narrowed down on possible causes for their behavior, it is time to talk to them directly. Tell your friend that you want to have a chat. Be direct and don't be angry when you have this conversation. You will instantly be able to judge from your friend's reaction if he or she was ignoring you deliberately or unintentionally. If the act was deliberate and malicious, your friend will fumble for answers. If the act was deliberate but backed by a reason, your friend will blame you for something that upset him or her. If the act was unintentional, the emotional response will be truthful and honest. A confrontational conversation may reveal that your friend is ignoring you because he or she is upset with something in particular. Your friend may have felt bad about something that you said or did earlier. If this is truly the case, don't let your ego come in the way of an apology if you really want to continue your friendship. Don't succumb and apologize unnecessarily if your friend offers a ridiculous excuse for ignoring you. Be warm and empathetic if there has been a misunderstanding but don't say sorry if your friend tries to blame you even when you are not wrong. 'I am sorry you feel this way but this was a complete misunderstanding' - Use a similar sentence if you and your friend hit a deadlock where both of you find each other at fault. You will open yourself up to being ridiculed and bullied if you become desperate about getting the attention of a friend who wants nothing to do with you. If all your honest efforts at patching up your friendship are coming to a dead end and if your friend seems to be maliciously enjoying watching you suffer, walk away from the friendship. Friendship is all about giving and sacrificing. But if your so-called friend shows no interest in your true feelings, he or she doesn't deserve to be in the company of a loving person like you. It is natural to feel sad, depressed and lonely when your friends ignore you. Combat these feelings with all your might and stop yourself from succumbing to manipulative tactics of so-called friends. You will naturally feel alone, lonely and depressed when your friends ignore you. It is a normal human response to feel left out. But this is also what you must fight if you want to carry on with your own life at school, at work or in life. Be strong and pick yourself up if you feel low. Feeling singled out is a common reaction to being ignored by friends. If you feel this way too, you must remember that every person on the face of this planet would have been ignored by friends at some point in his or her lives. Take a look at the lives of some of the most famous people in various domains including business and entertainment. Upon reading life stories of successful people you will realize that many of them were subject to being singled out or bullied in school, and in their young adult lives. They didn't succeed because they were never ignored by their peers, they succeeded because they did not allow that to push them down. Just like how a girl could get into a meaningless rebound relationship with a new guy because she can't stop missing an ex, a friend could also hastily seek out the company of new friends upon being ignored by old ones. You must avoid making this classic mistake of having a knee-jerk response to being ignored by friends. Don't try to make new friends immediately because that friendship will be based on frustration and haste, rather than similar likes, common interest and trust. Nothing in life is permanent. Good times make way for bad times and bad times make way for worse. And when you think that you have hit rock bottom, there will be a glimmer of hope which will catapult you into blissful happiness. This principle applies to all things in life including your career, relationships and friendships. Just because a few friends are ignoring you does not mean that your life has ended. You will meet hundreds and thousands of new people in this beautiful journey of life. Don't let the malicious attitude and behavior of a few unworthy people pin you down in life. Wait a couple of months before you try to make new friends. Don't be desperate to fall into new friendships, rather make friends who have similar likes, dislikes and interests. Open yourself up to the possibility of new friendships after at least a few months have passed since your friends started ignoring you. You don't need to be desperate but you will automatically bump into new people once you start finding your own way. You should also remember that making new friends does not mean that you develop enmity towards your old ones. Continue talking or texting your old friends if there is still some sort of friendship that is maintained. Did your friend stop studying because you don't talk with each other any longer? Does your friend seem depressed and gloomy all the time just because she is ignoring you? Has your friend stopped having fun in life since you both stopped hanging out together? The answers to these questions will presumably be a NO. This will make you realize that there is no reason you should stop focusing on the important things in your life just because your friend has started ignoring you. If you are studying, focus on getting good grades. If you are in college, focus on all the activities that will kick start your career. If you are working, focus on doing all the things that will get you a promotion. Focusing on the core activities in your life will help you overcome the feeling of being left out. It will give you direction and help to take your mind away from senseless peer pressure and social anxiety. Good hub. It is so difficult to deal with it when a good friend starts ignoring you. I agree with you that one should never seem desperate to get attention from that person, as it will only make the matter worse. If that person is a true friend, he or she will want to reach out, see how you are doing and hang out. Thanks for sharing your insights. Blessings!